Come See The Art & Horsepower At The Country’s Most Attended Polo Event. Then Bid, Buy & Sell. While it is the POLO Party, which includes #1 ranked American player Nic Roldan and the Melissa Ganzi-led defending event champions from Aspen Valley, there are many other great ways to enjoy The Bentley Scottsdale Polo Championships. From Barrett-Jackson to Ferraris, Lamborghinis, Bentleys and Corvettes the amount of “horsepower” at the event is always remarkable to see and enjoy. But it’s just a sampling of what you can see when Barrett-Jackson returns in all its glory in January to WestWorld. 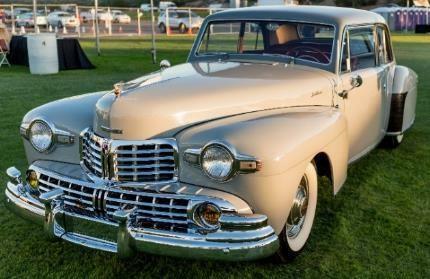 If you’ve never registered to bid on cars at Barrett-Jackson do it. It’s an amazing experience, and opportunity. Here’s a quick link to make it easy. Or if you want to sell a car at Barrett-Jackson start the process by checking this out. 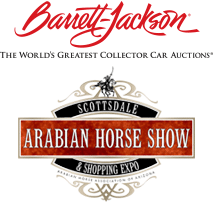 If you don’t get around to it before The Bentley Scottsdale Polo Championships: Presented by Stella Artois on November 5th look for Barrett-Jackson on-site that day. You won’t be able to miss them. Staff will be happy to assist you with registering to bid or consigning your car. While you have to wait until January for Barrett-Jackson’s actual car auction, The Polo Party’s annual art auction will again take place on-site November 5th in the ArtPolo Pavillion by J Levine. Some 200 works will be up for bid. Registering as a bidder is simple. Just fill out your bidder information by linking here and buy a ticket to the Polo Party. And if you have art you think the auction may be interested in please contact J Levine for your potential consignment by calling (480) 496-2212 or send an email to contactus@jlevines.com. With just two months until the big day be sure to get the tickets you want, where you want. All tickets including some new options this year to enjoy our debut Cultural Concert with the Scottsdale Philharmonic, Arizona Opera, DJ Maestro Hughes and Arizona’s top hip hop artist are now on sale at ThePoloParty.com. And don’t forget our first-time fireworks at sunset to end the unprecedented four match day. See you November 5th. And don’t forget to RSVP for our September 22nd Polo Preview Party Presented by Realty Executives. It will be in Paradise Valley at The Village at Mountain Shadows. Come join us for good cocktails, polo players and the memorable music by Grammys performer DJ Maestro Hughes. RSVP to info@thepoloparty.com.